Do you have the chili all your family and friends are talking about? Then Triple S Harley-Davidson is looking for you! 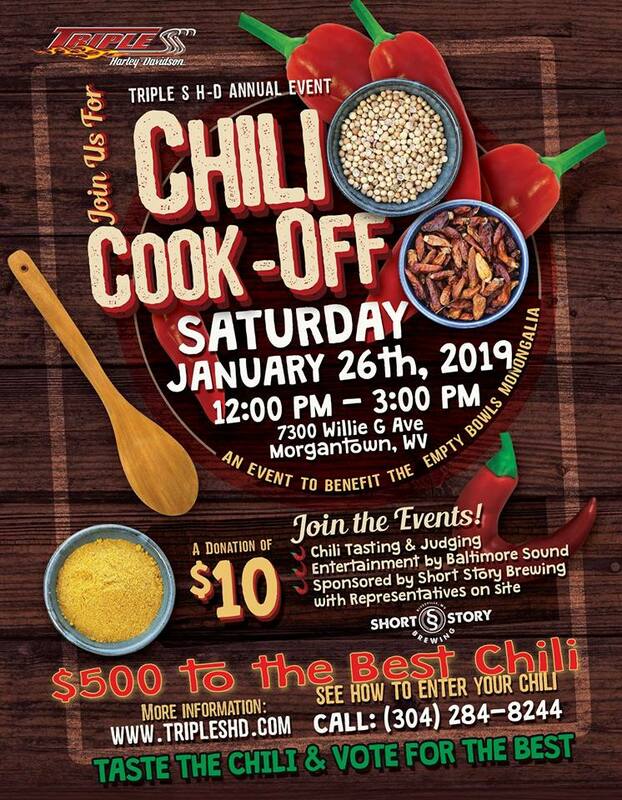 Enter our Annual Chili Cook-Off to win a cash prize and bragging rights for 2019. Proceeds Benefit Empty Bowls Monongalia, so call Triple S Harley-Davidson at 304-284-8244 to register today! 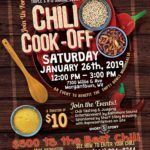 10$ registration fee to enter chili. We recommend bringing 6-10 quarts in a warmer and an ingrdient list (not recipe) for allergy purposes. General public can taste and judge for people’s choice with a $10 donation. Judges choice and peoples choice will be combined for one overall winner! Winner will receive $500 cash and a framed certificate. Entertainment provided by Baltimore Sound, plus we will be raffling off prizes throughout. This year is sponsored by Short Story Brewing, Representatives will be on site.